February was a difficult month. 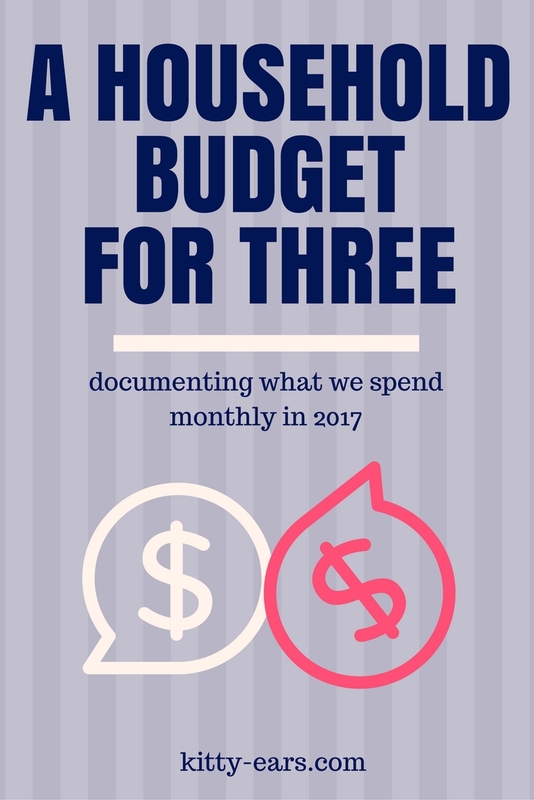 For one, we got halfway through and hit our budget of $1800. Oops. So then we scrambled around trying not to spend money for the last two weeks. Learning process. We pay our water bill every two months, so we don't have to pay it in February. We renewed one of our vehicles plates for a few years. Yay, adulting! We ate out too much. On the first weekend we ate out three times! We are only supposed to eat out once a week. Oops! This month we ate out eight times...double the amount we budget for. We signed up for a CSA at our local farmers market this month. We did the same last year and I loved it! Our CSA is from Great Day Gardens! I'm so excited. The CSA is $375 but we broke it up into four payments over the next four months, so this month was only $100. The CSA does not start until May, but I can't wait to get some fresh veggies! Great Day Garden veggies are amazing. I took Reuben and myself out on a date to Zoe's Kitchen. 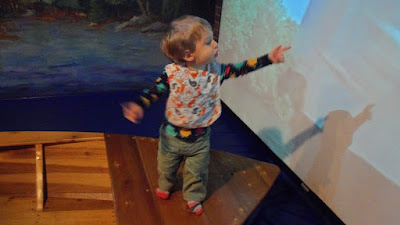 We also went to Amazement Square, a children's museum that is in downtown Lynchburg. He had a ton of fun! The above picture is from Amazement Square, he's on a boat going down a river! All the going and running and seeing wore me out, through, and we only stayed two hours. Next time I'll stay longer-- for $9 a day, it's an expensive museum. The biggest purchase I made for Reuben this month was some Usborne books for his ever-growing home library. I hope he likes them! I bought two skins of yarn for a tutorial I am working on for my Youtube channel. I also tried out some new makeup from SeneGence. I liked the lipsense I bought, but I did not like the face wash. It had fragrance in it and broke me out! I switched to a different facewash routine now--and I love it! I was using arbonne, then I tried this SeneGence, but now I am using a bar soap, witch hazel, and rosehip oil--and it is working wonderfully. I also bought a toddler wrap for Reuben. I've been baby wearing a lot as we are going out quite frequently! I can't wait to receive it. It's rainbowed, of course! I spent only $80 on babysitting this month. I didn't pack daddy's lunch that much this month, so he ate out a lot. He also went on a wonderful birthday dinner with some coworkers to his favorite place, Buffalo Wild Wings. He bought snacks, and a gaming mouse for his computer. He also bought some things for working on the house that I included into his budget.